Female garda arrested in Sligo Drugs investigation. Garda and man detained at a Sligo garda station. in connection with drug-related activities. in Dublin, was detained with a man in the town at 6.30 pm testerday. 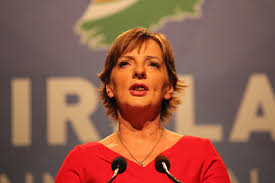 Government forced into climb down on LEADER issue – Liadh Ní Riada. ‘…changes, proposed by former Minister Phil Hogan, and carried on by his successor Minister Alan Kelly, would have been disastrous for the local and rural development sector. “Alan Kelly and the Fine Gael-Labour coalition need to sort this mess out, and in the meantime secure interim funding to keep these companies above water and rural development officers in jobs. Debt beleaguered Sligo Council reportedly looking to motorists to help with its finances. More traffic wardens and broadening of pay and display zones on the way. Motorists are reportedly down to play a significant role in helping debt beleaguered Sligo County Council stabilise its finances. 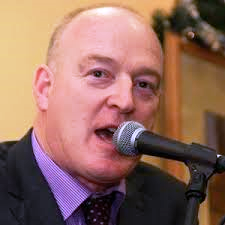 According to accounts, Chief Executive, Ciaran Hayes told this week’s meeting of the council that he sees parking fees as one way to bring in revenue needed to reduce the authority’s roughly €150 million debt load. Among the measures he apparently outlined is a plan to broaden pay and display zones and put more traffic wardens on the streets of the town. He is also said to have stressed that there will be greater attention paid to illegal parking and pay and display in the town during 2015. The council is reckoned to have raked in upwards of €2 million in parking charges in the last year. SLIGO LIVE REGISTER REVEALS HIGH NUMBER OF JOBLESS. County has suffered major loss of industrial, service and retail activity under Coalition. Despite widespread emigration of families and young people from Sligo records show there are still upwards of 4,600 on the Live Register for the area. The county has suffered under the Fine Gael-Labour Coalition with a major loss of local industrial, service sector and retail activity. Young people, many of them refusing to become part of a growing dole queue, have, with families, moved away to look for work in other countries. Of the number currently on the dole, 2,765 are male and 1,835 female. The existing working population includes many in low end, relatively poorly paid occupations. Rural areas of the county are also set to be further depopulated under government measures, which, according to the IFA, provide that only young qualified farmers will be able to obtain EU payments and subsidies, without which it will be virtually impossible for farm owners to survive. Meanwhile, the government is bringing forward its goal of full employment by 2018 – two years earlier than its previously announced deadline. This will include a target of creating 40,000 new jobs this year, the Taoiseach, Enda Kenny has said. However, Finfacts Business News Centre says Kenny has got his sums wrong by about 60,000 on the increase in employment needed to offset jobs lost during the recession. As to Sligo, Ballymote-based former junior minister for small business John Perry has said he is in talks about plans to establish a whiskey distillery at Hazelwood House. This follows the launching of a brewery – the White Hag Brewing Company – in Ballymote in 2013. SLIGO HUGHES BRIDGE DOWN TO SINGLE LANE FOR NORTHBOUND TRAFFIC. Lane closure to facilitate on-going hydro-demolition works. Sligo County Council has informed motorists that Hughes Bridge will be reduced to a single lane for northbound traffic with effect from lunchtime today, Thursday 15th January. The lane closure, says the authority, will remain in place throughout the weekend and possibly into the early part of next week. ‘As always, Sligo County Council and L&M Keatings will endeavour to minimise the effects of the works and we thank you for your continuing co-operation and patience,’ the statement adds. REPORT SHOWS INCREASED OUTPUT NOT ALWAYS GOOD FOR FARMERS. ICSA president Patrick Kent has said that the 2014-2015 Bord Bia Export Performance and Prospects report clearly demonstrates that increased output does not always translate into good returns for farmers. On the Agenda – Meeting Municipal District West Sligo, Tubbercurry and Ballymote. ‘Give Sligo attractions full recognition’ – Lundy. Councillor Joe Queenan (FF) wants the County Council to extend public lighting to the Castlecove, Frankford Close, Ocean View, Pebble Beach estates in Enniscrone. Cllr. Margaret Gormley (Ind) wants the county council to install speed ramps in Gurteen View Estate, Gurteen, and to seek to have the childrens’ community playground in Tubbercurry reopened. Cllr. Dara Mulvey (FG) is to call for a safety issue at the pedestrian crossing outside SuperValu on Main St., Tubbercurry, to be investigated. The meeting of the council is being held in the Sligo Folk Park, Riverstown at 11 am on 16 January 2015. It is open to the public. Youth Guarantee report shows government is failing young people – Reilly. Sinn Féin Senator and Spokesperson on Youth Affairs Kathryn Reilly has articulated her criticism of the Irish government’s implementation of the Youth Guarantee scheme. “It is a worrying report in that it has highlighted the inadequacies of the Youth Guarantee’s implementation by this government and that it has brought to the surface particular areas where the government is failing our young people. “One particular issue which I have previously raised, and which is again brought up in this report, is that the Irish government has still not kept to the EU Council Recommendation that calls for offering a quality job, a traineeship, an apprenticeship, or continued education to all unemployed young people aged 18-24 within four months. In some instances it is eight to nine months before one of the above measures is proposed. “With close to a quarter of Ireland’s young people unemployed, the report has highlighted that for those who do manage to secure an offer of employment, “the quality and type of contract offered… is rather bad, as well as the remuneration received”. “On previous occasions I have stated that if we are to properly address youth unemployment, we must provide timely and adequate intervention, this must be combined with greater trade union involvement in the implementation and evaluation of the Youth Guarantee as called for by SIPTU in the report.